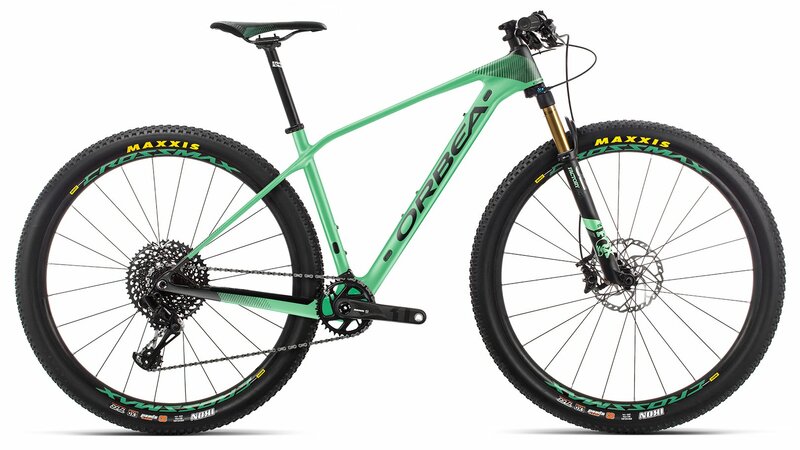 Orbea Alma represents the pinnacle of race-ready hardtails. Alma is for the quickest lap times. The steepest climbs. Alma is for the strongest accelerations and highest altitudes. Alma is for the biggest stages, the loudest fans and the toughest riders. Alma is for the fiercest competitors, the athletes who accept nothing less than superlatives. When a few fleeting seconds separate fast from faster, Alma is for the fastest. 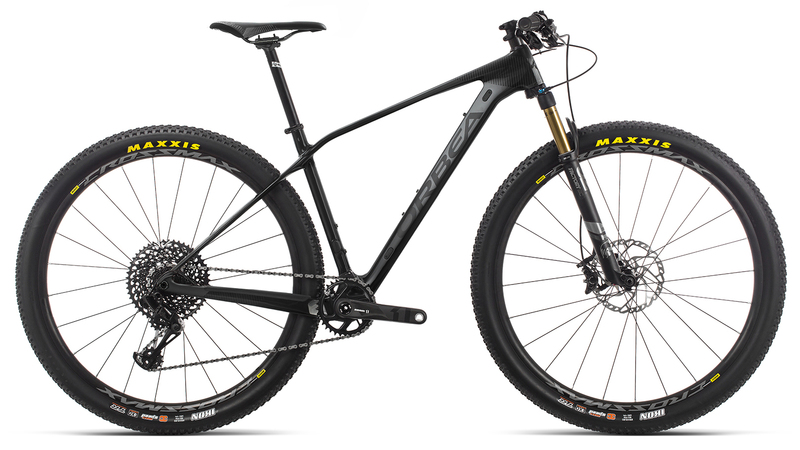 The Orbea Alma M15 benefits from a handful of frame updates when compared to previous models. Slight tweaks in the frame’s geometry have completely revamped the handling characteristics of the new Alma - providing a lower center of gravity which increases stability, a lower front end for better traction on steep and loose climbs, and shorter chainstays allowing you to maneuver through technical descents with confidence and ease. 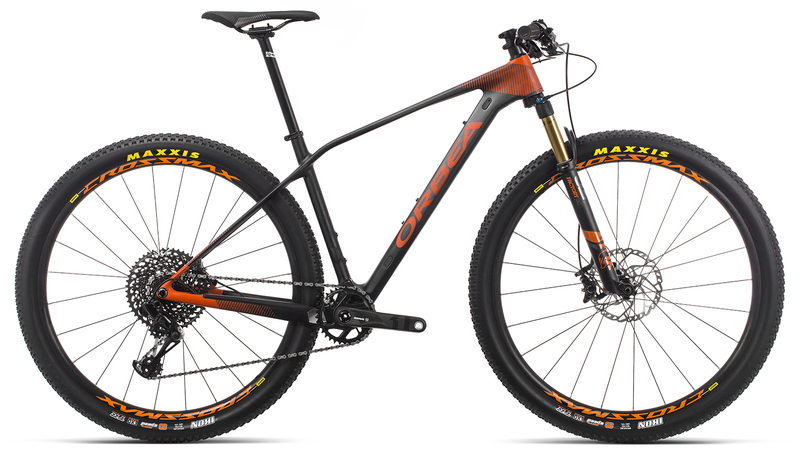 The Orbea Alma M15 is stocked with an impressive build kit that’ll suit just about anyone’s needs. Fox is well known within the industry for producing high-end suspension components that are easy to set up and use, making it the obvious choice for the Obrea Alma M15. The Fox 32 Float Factory Air fork features 100mm of buttery smooth suspension travel while the tapered head tube and 15x110mm axle ensure the front end is stiff, helping maintain excellent steering, especially when riding winding single track or technical switchbacks. The SRAM GX Eagle drivetrain provides you with an efficient 10-50 1x12 gear range. The Mavic Crossmax wheels are lightweight and built tough to handle the rigors of cross-country racing. When it comes time to slow things down, Shimano XT brakes get the job done with confidence in any condition. To top it off, the Orbea Race Face cockpit is a perfect balance of quality, strength, and performance - a fitting match for such a worthy machine. Orbea OMR carbon is race ready. Fox Factory suspension smooths out the trail chatter. Mavic Crossmax wheelset spins fast and smooth on sealed bearings. Shimano XT brakes are top performers in any condition. SRAM GX Eagle drivetrain with a huge 10-50t gear range. Mavic Crossmax TL 6-Bolt, 29"